SEO has become imperative for every business today. Whether you’re a big brand, or a small manufacturing unit, SEO is important for each player. However, the key to successful SEO is choosing an SEO package that suits your business’ needs. Now that can be a grind, having said that there are numerous SEO companies in the market and they have different kinds of SEO packages to offer. 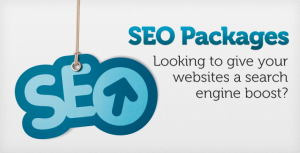 SEO packages offered by any company can be of two types, namely standard and customized. Standard package include a suit of SEO activities that are generally needed by business of all types. They have a fixed set of offerings and are offered at rates lower than personalized/ tailored packages. Hence, they can be appealing to a business new to SEO. However, the downside with standard SEO packages is that all the services offered in the them may not necessarily be of use to your business. Doesn't really make sense paying for something that will add no value to your business. For instance, Facebook promotion in a standard SEO package may not really be able to add much value to a wholesaler of chemicals. Hence, it’s always better to consider personalized/ tailored SEO packages. Though they may be a slightly more pricey than standard SEO packages, you can be sure that you’re paying for activities that will add value for your business. Analysis & Research - Since keywords are critical for SEO to be successful and your business to profit from it, it’s is imperative that the SEO company/ package you choose provide you with research services on which keywords would work best for your business. It should also provide you with an analysis on those keywords so that you can see how credible the keywords are. Article writing - SEO -optimized article writing is important for your SEO activities since they are a natural yet powerful way of promoting your keywords and key phrases. While you may find this service a little pricey, you must know that it will add great value to your website and the results obtained through the other SEO activities. Blog posting - This is another additional feature that can add value to your business website., and is available for a nominal charge. Directory submissions - While most SEO packages will have this service included in their service package, it’s important that you ask them to provide you with a list of which directories they’d be using. Tracking & Reporting - This is also an important aspect of a good SEO package. The company should be able to provide you with a tracking and reporting system to keep you posted on the developments happening on your website and the results being obtained through SEO. Recommendations - The client should offer you recommendations with respect to what on-page, off-page, keyword optimization, etc. can benefit your business even more. Remember a good company will always want it customers to thrive and will suggest the best possible ways to achieve desired results. Besides this you may also want to check if other important services such as Social submissions, social media promotions, etc. are being conducted.